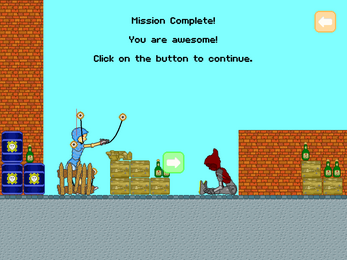 Should bullets go through objects, reload the level with the top right button and shoot at some objects. 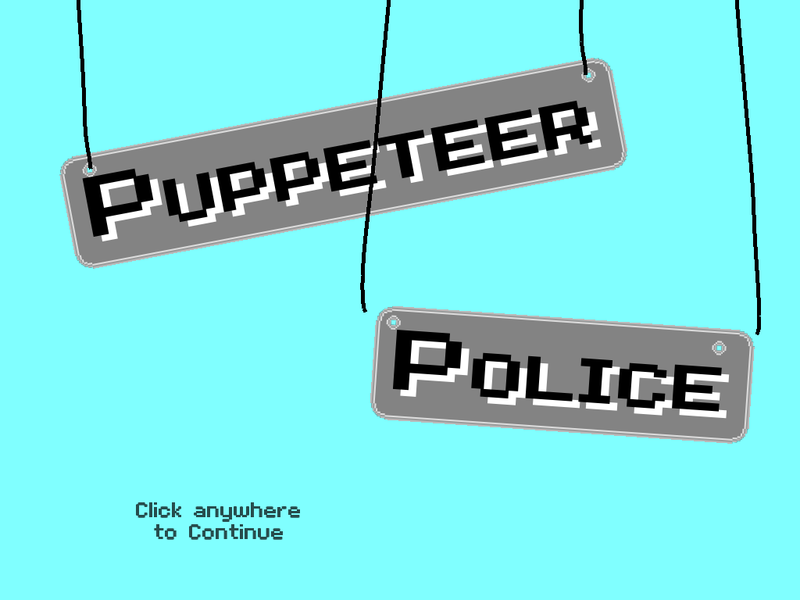 Puppeteer Police is my entry for the #indiesvspewdiepie jam. 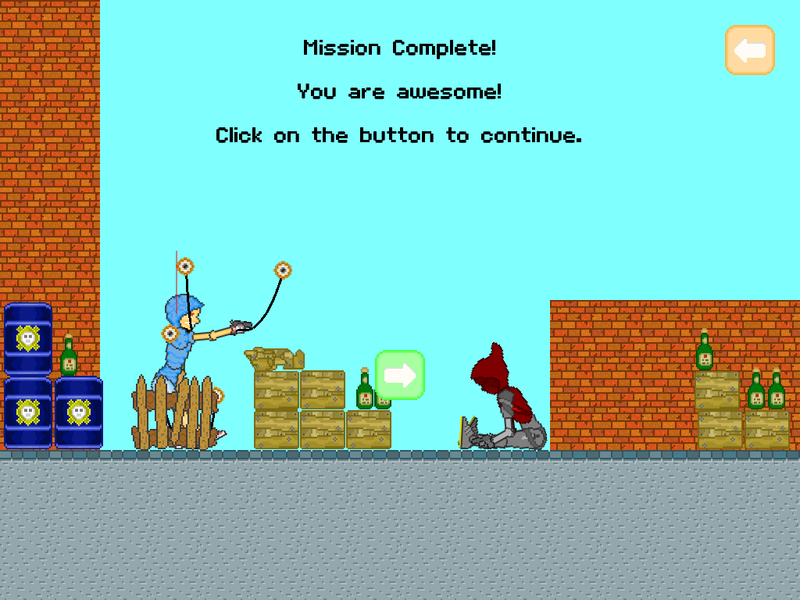 You play the first ever robotic police officer and have to save Placeholder City from the evil Black Sock Ninjas, a gang of wobbly assassins that are up to no good. 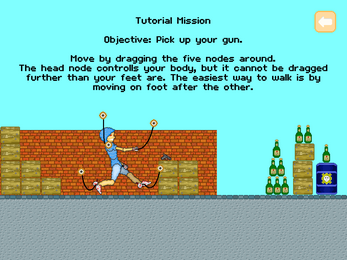 You control your character by dragging the different nodes around, it works similar as a marionette.